The origin of all these varieties in itself is the same, the Capsicum annuum, and like potato and tomato, Solanaceae. This fruit is found in Central and South America, because of its versatility and flavor got the attention of Cristobal Colón on his expedition to the land to bring it to Europe, this story has already been discussed earlier in our blog. After this event shortly after became one of the most important elements of trade and kitchen all the time (like today). Regarding our land, the first signs of paprika in Murcia goes back to the early sixteenth century Geronimo monks introduced it as exotic plant and later a neighbor of the place began to treat paprika roasting it to oil-coated furnace to achieve a striking much more dramatic of which itself has the element. The lady next achievement was “chop” with a mortar and then sped up the process with a flour mill… That was the beginning of one of the most typical products of our region. Of all the positive properties containing paprika, the most important is its great taste, nice look and flexibility for each type of diet, low in both calories and carbohydrates… and most striking and important, has many minerals and high concentrations of “antioxidants”. All listed offers variety of benefits to our health, but the latter element (the oxidant ) deserves special mention since it helps in the prevention of cardiovascular diseases and exerting anti-inflammatory properties in the body which can also help prevent certain cancers or diabetes type 2. 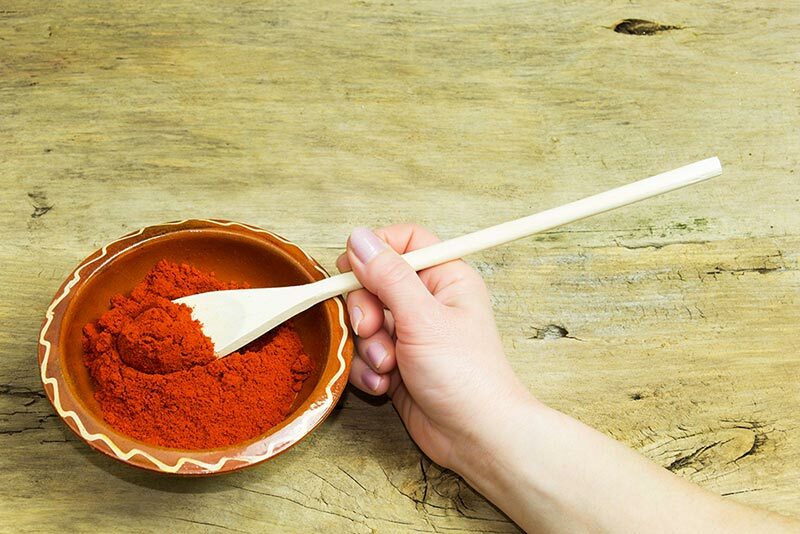 Moreover, paprika or paprika has two types of carotenoids, lutein and zeaxanthin that mainly helps protect the eyes from damage in the macula of the eye and prevent visual degeneration greatly. All these benefits have been listed made compatible with any form of development, although it is important that your cooking is not much to avoid prolonged loss of beneficial properties.